For quite a while I used to have a huge pain in my arse — namely, programming in C++ for Linux on my Mac. I think I said this before, but I like IDEs — especially, I like Eclipse: it saves my time and allows me to develop stuff much faster and more efficiently, it is also great when you’re learning some new code (and if you have a very large project at hands, that means pretty much all the time). And voila — all sources are synchronised, built and tested! An extra benefit of this approach is that I have no object files, .d files, executable files and other useless stuff in my dev-folder (and, consequently, visible in my project). An only downside is, if your source tree is very large, rsync can take a good deal of time (that is why I’m syncing only my subproject in my real Makefile). Whenever I try to use pre-pre-alpha of 1Password for Chrome to login in to my Posterous, I can see an extremely weird picture (try it on YouTube with resolution of up to 1080p if Posterous video is a bit off). A search URL, with query replaced to "%s"
It's even more simple once you've seen the pictures. Try it for yourself — saves a lot of time. nice IDE and then build and run them on large scary Linux server. Probably, picture says it all. Me: is there anything to wait for? Me: you know what is it? One guy under NDA: do I really want to get killed? Update: it is not working right now. Now read on, but I warned you. I've kind of handcrafted a Twitter app over the weekend. Shortly — it's a URL scrap book, which monitors your feed and collects all URLs, un-shortens them and stores for future use, so whenever you try to find that link you posted a week ago, you shouldn't be lurking over your Twitter feed (as Twitter Search is unlikely to help), you simply go to this app and find it there. Now, it's early alpha. It's working. Search is sort of working. Multi-word search is broken and phrase search is broken too, probably, it will remain that way until the next release of Google's AppEngine. However, this app is already useful — at least I was able to find one of URLs I've been looking for for ages. What it can do? It can import your feed. It can monitor it. It can even import as much as 3200 your previous status updates (only ones with URLs are stored). And it's in progress. It will become more powerful, so much more powerful — it's difficult to imagine, how many useful information is stored in Twitter status updates. But for now it's only alpha — hence access is naturally restricted. If you're interested in testing it — please let me know and I will sign you up (for now this is an only way of doing so — that was done on purpose). P.S. if you're good with design and would like to sharpen your skills — do let me know. I'm notoriously bad when it comes to making something look good, and probably nothing and no one can help me with it; however, you can help this app look better, so if you're interested — contact me by any means. Can anyone see any flaws in it for real-world URL? To say the truth, Vaio laptop isn't mine — a technically challenged college of my wife has asked me to choose, buy and set it up for her. Small laptop (netbook) is Natalie's. Rest of them are indeed mine. It would be cool to have a way to switch "natures" of your Mac OS X, not unlike the way I change Perspectives in Eclipse from PyDev to Java whenever I start hacking different project. Let me illustrate it on one simple example. When I'm at work I'd love to have my work resources connected and available in Finder. That includes, say, some network shares, VNC servers, and so on. And — I would like to have them just in Finder's "Places" menu. When I go to uni, I'd love to have my Birkbeck folder there — may be not only this folder, but some of it's subfolders too, so I shouldn't go to Dropbox/Birkbeck/IBIP/Lectures just to find my image-based information processing lectures, I would rather select IBIP shortcut in Finder and get straight to it. But there's a problem — I don't need my IBIP shortcut at work. More than that, it would probably distract me and this is the last thing I want. On the other hand, my work network shares would be more than pointless at uni, as they'd be not only useless but even inaccessible without a VPN (and why do I need a VPN at uni?). Upd: fixed and updated version posted. Do you remember a while ago I posted about replacing my broken Griffin SmartTalk? Well, they replaced it — indeed they did. And guess what? It got broken again. In the very same place — where the cable connects to the jack. Same symptoms. Same problem. Same product. I decided not to hassle their customer support, because the best they can do is to send me another one which will again break in a couple of months — repeat until the warranty expires. So I decided it's a time to fix the root cause of the problem. 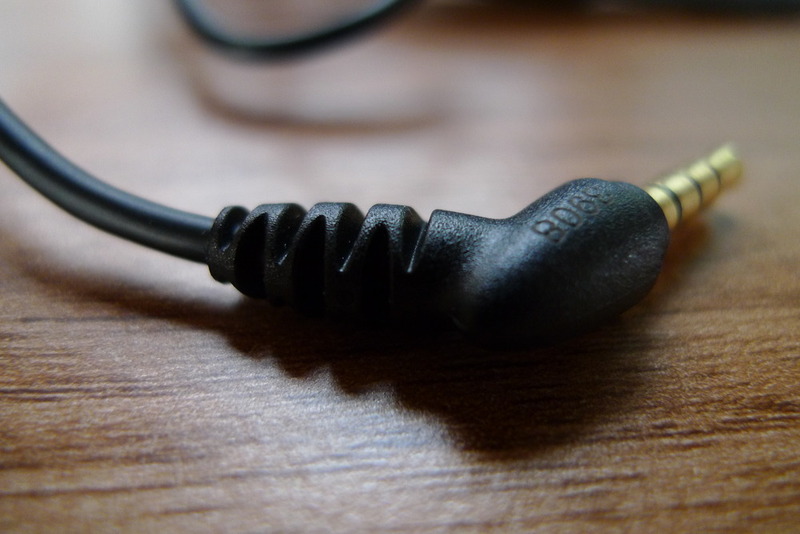 Virtually all cheap headphones (and adapters too) have this problem, so I decided to get the one from Shure (which was a recommended accessory for my Shure SE 210 headphones — which I'm extremely happy with). 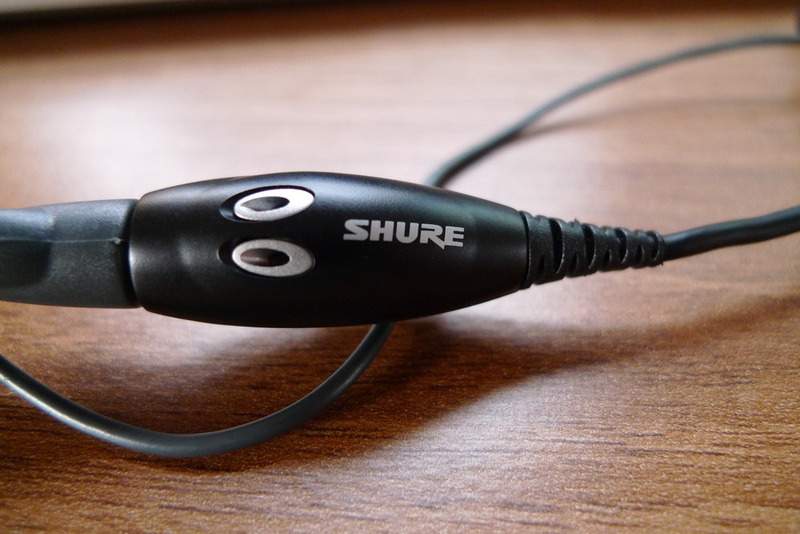 So, I got myself a Shure MPA-3C. I think photos say enough, finally answering the question why it shouldn't break in a months or two. Very solidly looking thick cable, protected jack connection, not thin and elegant by any standards, but seriously built, sturdy and durable, or at least it looks this way. Hope this will sort the problem out, but now my music experience is Shure all the way through (except my iPhone, but everybody knows Shure doesn't produce any decent iPhones). Well, may be they should? Yesterday I realised, that I am way too tired of my new iPhone's battery dying at 11PM every day — and if on every day it was dying at 11PM which is somewhat acceptable, on a bad day it died at 9PM just when I was leaving university building, looking forward for 30 minutes on a train accompanied by my iPod, ebook, RSS news or what's not. Now, that annoyed me — annoyed me much, and I decided it's a time to do something with it. Yesterday I took a look at my email accounts on iPhone. 4 of them: MobileMe, my university email, Gmail for public stuff and my very private email. I switched off three of them, and set up a forwarding to my Gmail account. Then I switched my Gmail to Exchange. And that was it. Dear, that was a difference. Today was a fruitful day and I received about a 100 emails on combination of my email accounts. I used Internet quite a bit, I listened to few podcasts and music, posted a number of updates using Tweetie, read Stephen King's book for about an hour during my commute, breakfast and very late after-work lunch, and you know what? Now it's 18:23. Battery on my iPhone is still full. I'm not kidding. That what it shows: it's full. I don't have any battery-monitoring utilities as I hardly feel any need in them, but I see, that despite all my unintentional efforts, iPhone's battery is still healthy as hell. And it couldn't make me happier. The fewer email accounts your iPhone checks, the longer it's battery will last. Checking email only when you have new email rather than every N minutes saves your battery even further. That is it, chaps — hope my experience will help someone to save some of iPhone juice just enough for his or her way back home. Grab blä.se/FingerMgmtUB.zip and find out by yourself! Author of this wonderful bit of software — one Johan Nordberg and when I'm telling you this guy has very little to no problems with his creative thinking, believe me, I am just jealous.